Earlier this month before his showdown with Khabib Nurmagomedov at UFC 229 Conor Mcgregor appeared on Ariel Helwani’s MMA Show, where he expressed interest in a super-fight with a former middleweight champion Anderson Silva. Silva, whose USADA suspension for two banned substances ends on Nov. 10, accepted Mcgregor’s challenge earlier this month, and think UFC president Dana White should consider this super fight. “I just waiting,” Silva told TMZ. “I accept the challenge for Conor. Even though UFC cash cow is coming off a defeat to Khabib Nurmagomeodov at UFC 229, Mcgregor is still most wanted in MMA. Whether it’s about getting the biggest payday or just to have a fight, fighters from different weight class want a piece of Irishman. 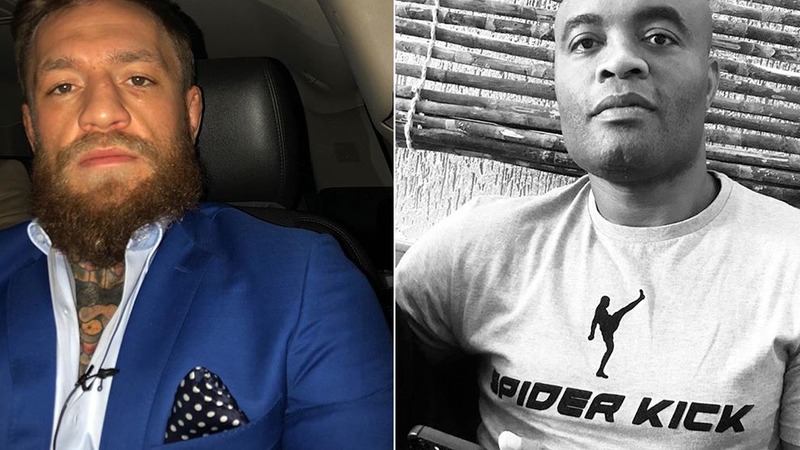 But to MMA legend Anderson Silva, it’s not about earning the biggest fight purse as he has already made millions throughout his career, for him, it’s about fighting Mcgregor in the name of competition. Mcgregor who already jumped up at 170-pound to fight Nate Diaz, so Irishman probably wouldn’t have any problem packing some more mass to fight Silva. “The Spider” suggested he would want to fight Mcgregor at a catchweight of 180-pounds. On being asked about Mcgregor’s potential rematch with Nurmagomedov who dismantled Irishman at UFC 229, Anderson Silva straightforwardly said he wouldn’t win. UFC president Dana White recently said he would want to see Ferguson vs. Khabib next over Mcgregor rematch. However, Anderson Silva could be an option for Mcgregor’s next bout, or Irishman can go for Nate Diaz trilogy.